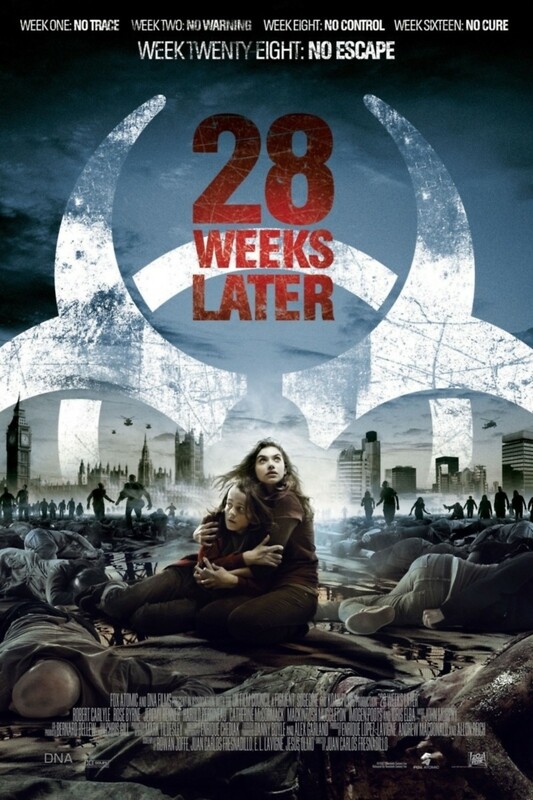 At 28 weeks after the Rage virus outbreak began, the infected have mostly died from starvation or been killed. With the help of the United States, a heavily-guarded quarantine area, the Green Zone, is built in London for the survivors. Don and his wife Alice were in-country when the incident started, while their children, Tammy and Andy, were in Spain. While hiding in a country farmhouse, the infected broke in and Don was forced to leave Alice behind. In the new London, Don has become an apartment complex manager and has been given permission to allow his children to join him. When Tammy and Andy break quarantine to visit their home, a shocking discovery is made about Alice that could save the world...or end it.